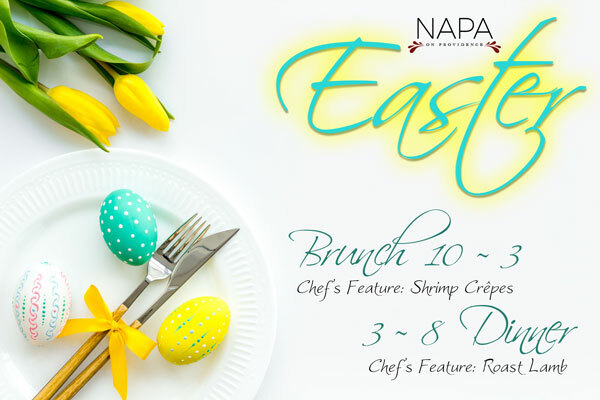 Join us at Napa on Providence for a special Easter meal. Enjoy our brunch feature of Shrimp Crepes or our dinner feature of Roast Lamb. Limited space available. Click the button to the right or call (704) 900-8535 to reserve your spot today!